TMA is the premier professional community dedicated to turnaround management and corporate renewal. TMA’s strength comes from its diverse membership – professionals from many disciplines committed to a common goal: to stabilise and revitalise corporate value. 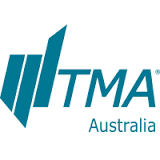 The TMA Australia Chapter is committed to promoting the benefits that the turnaround industry offers the Australian business community, facilitating a deeper restructuring market in Australia, and fostering a turnaround culture in the broader region.